Washable pocket chart includes 100 numbered cards with teaching guide. Cards are coloured differently on reverse side to highlight number patterns. 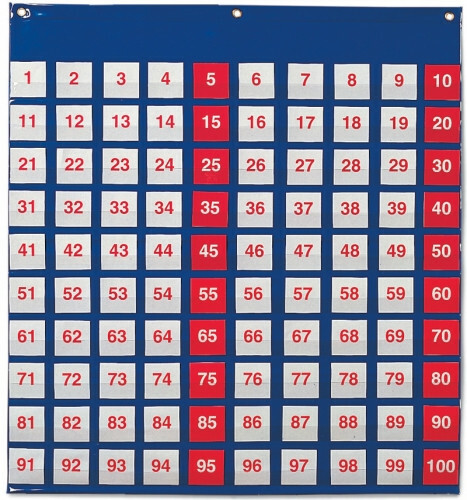 One-hundred clear pockets make this washable chart ideal for teaching numbers, skip counting, odds, evens and operations, including multiplication tables. Includes Teaching Guide and 120 numbered cards coloured differently on reverse to highlight number patterns.